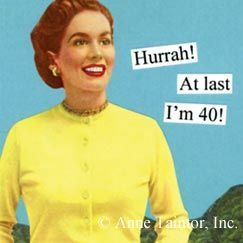 For some reason, 40 is an age that has always held a negative connotation. 40 puts you "over the hill". Technically, the average life expectancy of a woman in Maryland is 81.27 years, so perhaps 40 is mid-life.. but why is it an age to be dreaded???? I never really gave it much thought. Now, with 24 days to go, I am pumped! Yes, things are sagging that I wish weren't, yes I will need reading glasses before too long. All things considered, I don't dread 40. I AM EXCITED to turn 40. 2016 has been a banner year so far and it isn't even halfway done. At 40, I've learned lessons I wish I had at 30. The past few years have not been the easiest, but I'm hitting my stride in my professional life, my family is amazing, and I have the best friends anyone could ask for. I still have lessons to learn. I let the moods and attitudes of others impact me more than I should. I'm not good at saying "no" when I'm asked to take on something new, even if my plate is too full. I have learned, however, to appreciate the small things, the downtime, the quiet in between the chaos. 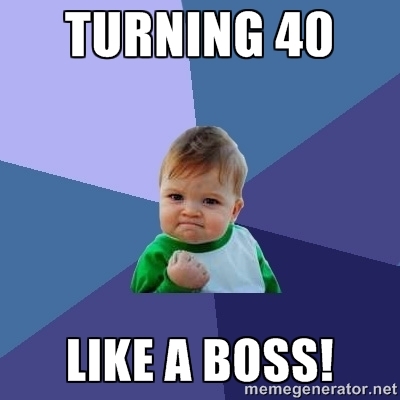 So as I turn 40, I embrace the last 40 years and look forward to the next 40. I am beyond thankful for those who mentor me, who put up with me when I hit a stumbling block (or have a complete and total meltdown), and those who encourage me. 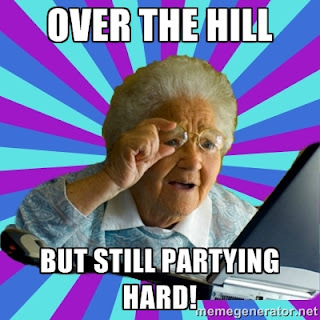 Here's to charging up the hill and embracing what comes next! I have the best fans! My "rookie" triathlon season is now under my belt!